The New York Excelsior of the Overwatch League have partnered with nonprofit organization Kids in the Game to bring competitive gaming to New York City middle school students. With the growth of esports spreading to colleges and high schools, organizations such as Kids in the Game want to reach out to students who may not have had the opportunity to play video games competitively and nurture traits such as camaraderie and good sportsmanship among them. Your NYXL is nominated for a @TheWebbyAwards in the Athletes & Sports Teams Social category, but we need your vote to win. We're just 5% away from the first place. Kids in the Game works with more than 25,000 students in over 60 schools in NYC to provide after school sports programs. The Excelsior have helped to fund this initiative so that esports are included as well. They also support esports tournaments so that kids in local schools can have friendly competitions with each other. By playing FIFA and NBA 2K, students learn sportsmanship, teamwork, and leadership, important skills for any student. For example, students who have previous experience with these games share them with their fellow students. Since their inception in the OWL the NYXL have set an example for giving back to the community they represent. 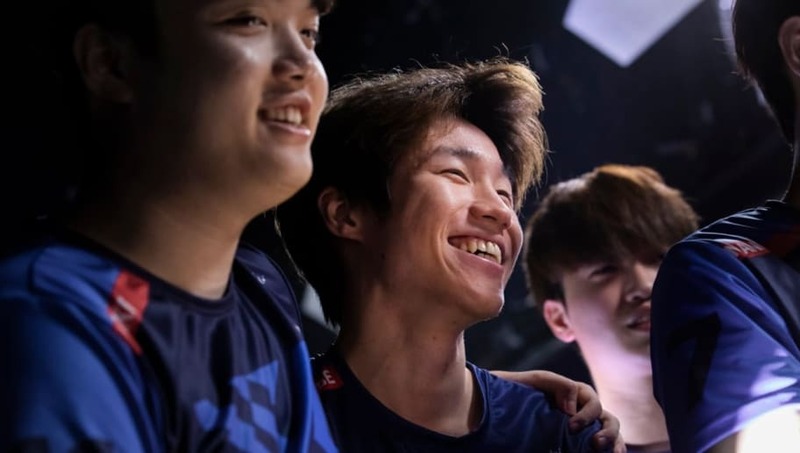 Events Coordinator Daniel Lee of the NYXL noted the greater part gaming is playing in society and the importance of providing young people with a positive experience. Moving forward, it looks like the NYXL will continue to foster close relations to high schools, colleges, and local communities, setting the standard for having a vibrant fan base that every other OWL team should follow.